Welcome to another week of Global Design Project! We are CASEing Krista Frattin this week! I adore Krista - she is so gorgeous. Now MAKE SURE you come back to my blog tomorrow as I will be posting all the exciting things that happened at Onstage in Sydney! I decided to keep it pretty simple and similar Krista Frattin. However instead of using DSP - I used the Brushstroke stamp set for a similar look. However I used the Rose Wonder Thinlits. Instead of the metallic Doily I used the Silver Sequin trim I love the combo of the Blushing Bride and silver. Thanks so much for joining me today and having a look at my project! 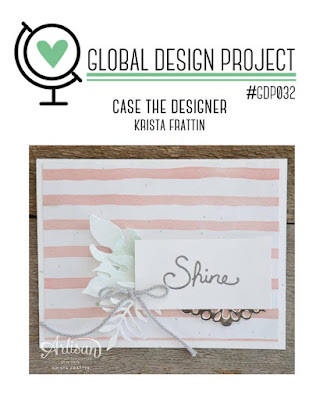 I love playing along with the Global Design Project and hope that you can come over and have a look. 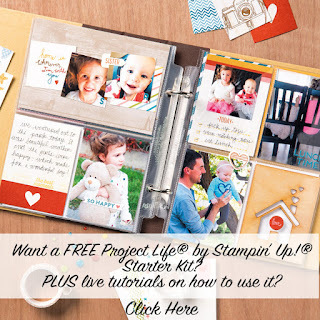 Of course we NEED a stamp set!! hahahah sorry for enabling you Mary. I am the same Melissa! I thought this would be a perfect reason to get out the stamp set. It is lovely in the subtle colours. What die is that branch?!?!?! Why do I not know this? Hahahaha - the Rose Wonder Thinlits Krista! Lovely right? Love this card Kylie, while you can definitely see Krista's influence I love how you swapped out bits and pieces and recreated it again with similar items. Love it, Kylie! These bold stripes make for an amazing CASE of Krista's card. Love it! Now I really need to get me that background stamp! I love this CASE! Gorgeous Kylie! What a fabulous case of Krista's card! Love it! I love your card Kylie! I like the flower applique! Great card!